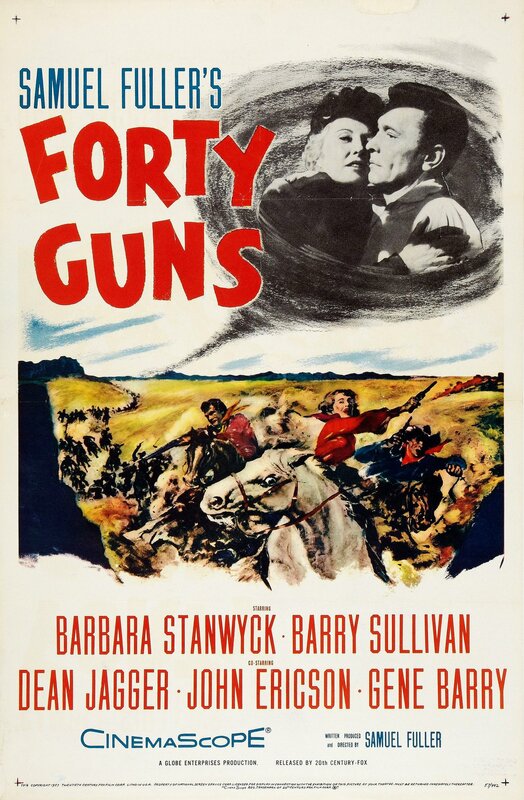 Forty Guns is a 1957 gothic western film written and directed by Samuel Fuller, filmed in black-and-white CinemaScope and released by the 20th Century Fox studio. The film stars Barbara Stanwyck, Barry Sullivan and Gene Barry. Fuller uses every opportunity to show off the widescreen format while employing extensive use of close-ups and one of the longest tracking shots ever done at Fox's studio at that time - over three minutes long.